In November, many Georgians will have their minds on more than just turkey and cornbread stuffing. Thatâ€™s because thereâ€™s also the Annual SSLT Oyster Roast to look forward to. 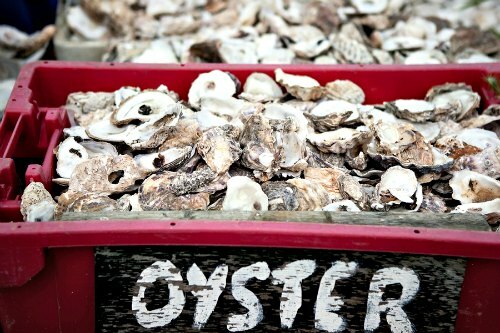 Itâ€™s a great opportunity to help preserve St. Simons Island real estate, listen to live music and enjoy the freshest oysters around. This year, itâ€™s set to take place at Gascoigne Park the evening of the 22nd and we can help you find short or long term accommodations nearby. If you do decide to attend the fundraising event, know that the price of admission is going to keep fantastic places, like Cannonâ€™s Point Preserve, open to the public. Itâ€™s a very special, 606-acre site that just opened this year to much fanfare. Part of what makes the preserve so unique is its history. It has connections to famous folks like Aaron Burr, Daniel Cannon and John Couper as well as indigenous tribes from Coastal Georgiaâ€™s early years. Couperâ€™s story is particularly interesting. So much so that itâ€™s been fodder for many books, including T. Reed Fergusonâ€™s, The John Couper Family Cannonâ€™s Point and R. Edwin Greenâ€™s, St. Simons Island: A Summary of Its History. In addition, many of his familyâ€™s personal papers are presently housed at the University of North Carolinaâ€™s L ouis Round Wilson Special Collections Library should you ever want to read them. It isnâ€™t the only piece of St. Simons Island real estate that is being protected with donated funds. The long list of others includes, but doesnâ€™t cease with the Alice Richards Botanical Trail, Old Stables Corner, John Gilbert Nature Trail, Frederica Park, Stillwater Hammocks and the Harrington Schoolhouse Preserve. If you are interested, our St. Simons real estate agents would love to share some additional information about those sites and others with you. To learn more and make plans to attend the November oyster roast, please DeLoach Sotheby’s International RealtyÂ today.